Barbie will dance her way into your heart in this fun and enchanting all-new adventure. 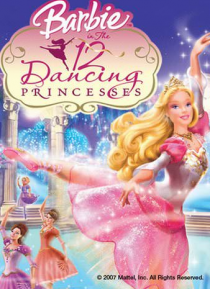 Join Barbie as the beautiful Princess Genevieve and her eleven dancing princess sisters as they discover a secret entrance to an amazing, magical world where wishes come true! But when their dad is in danger of losing his kingdom, Princess Genevieve and her sisters must work together in order to save the day an… d their dad. They learn that the power of family can overcome all obstacles!